This Kung Pao zoodles recipe is quick, easy, spicy, and fast – it takes only 15 minutes to have it on your table! It’s time for another zoodles recipe. I haven’t made one in a while, and you guys seem to enjoy them, so here we go! These one pan Kung Pao zucchini zoodles are the perfect spicy-sweet (but not too sweet) combination. This is a vegan Kung Pao recipe, but you could definitely add some chicken or shrimp in if you want to add some more protein. They are a bit hot for me, but my husband enjoyed them. And hey, what could be bad about 15 minutes? I originally made them with 3/4 cup of peanuts, but my husband said that it seemed a bit much, so I cut it down to 1/2 cup. It’s definitely up to you how many peanuts you add. They make this vegan zoodles recipe more filling, so you may want to add more than the 1/2 cup if you want a more substantial meal. Add the soy sauce, sesame oil, rice vinegar, chili paste, sherry, brown sugar, and garlic to a skillet over medium-high heat. Let it cook for a minute or two, and then add the cornstarch slurry to thicken it. At that point, the zucchini noodles, peanuts, and green onions are added. I found the sesame oil, rice vinegar, and chili paste in the ethnic/international foods aisle of my local grocery store. If you’re in a pinch and can’t find chili paste for some reason, sriracha sauce will work too. I hope you’ll give these low-carb Kung Pao noodles a try! Let me know in the comments below if you have any questions/comments. This is the spiralizer I used to make this spicy zoodles recipe. This Kung Pao zoodles recipe is quick, easy, spicy, and fast - it takes only 15 minutes to have it on your table! 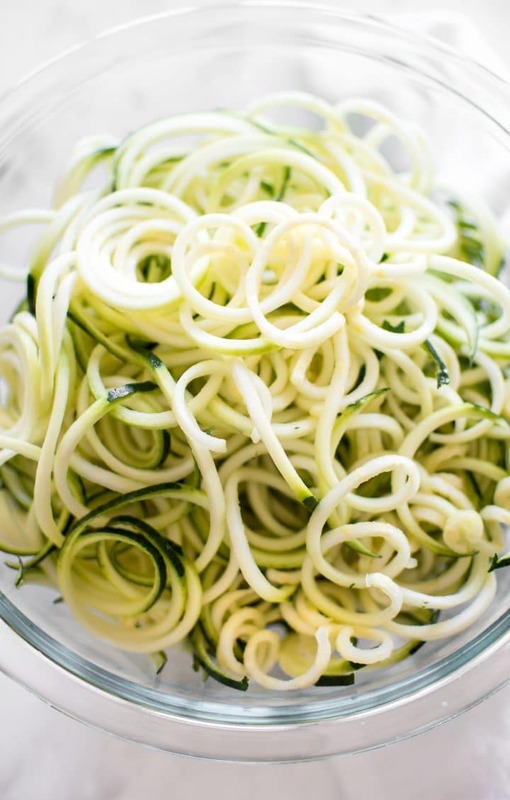 Spiralize zucchini on the medium setting and set aside. Add the soy sauce, sesame oil, rice vinegar, chili paste, sherry, brown sugar, and garlic to a skillet over medium-high heat. Let it bubble for a minute or two. Meanwhile, combine the cornstarch and 2 tbsp cold water. Stir the cornstarch mixture into the skillet. It should thicken the sauce up really quickly. Add the zucchini noodles, peanuts, and scallions to the pan. Cook for a few minutes, tossing continuously (I use tongs to do this). The zucchini will release some water. Don't overcook the zucchini or it will be very limp and watery. Sprinkle sesame seeds on top if desired. Serve immediately. If you can't find chili paste, sriracha sauce is a good substitute. 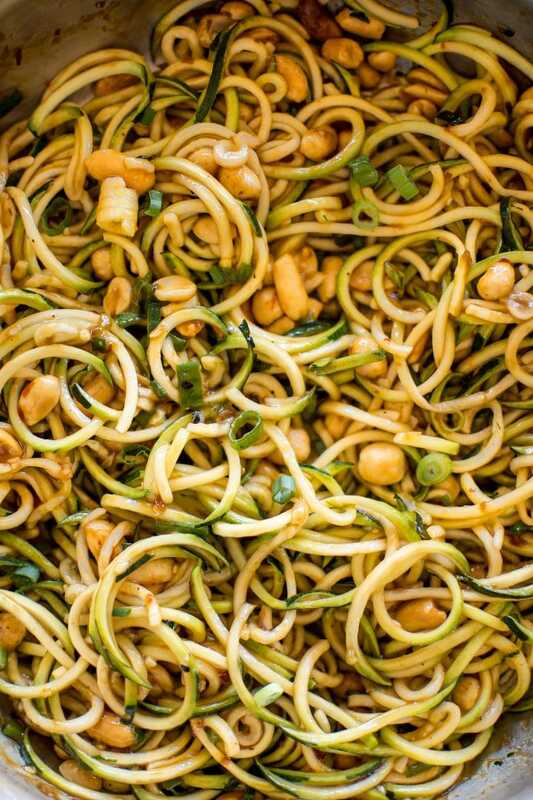 Looking for more vegan zucchini noodle recipes? 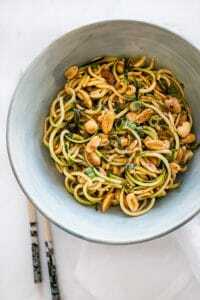 You may also like my garlic lime cashew zoodles. 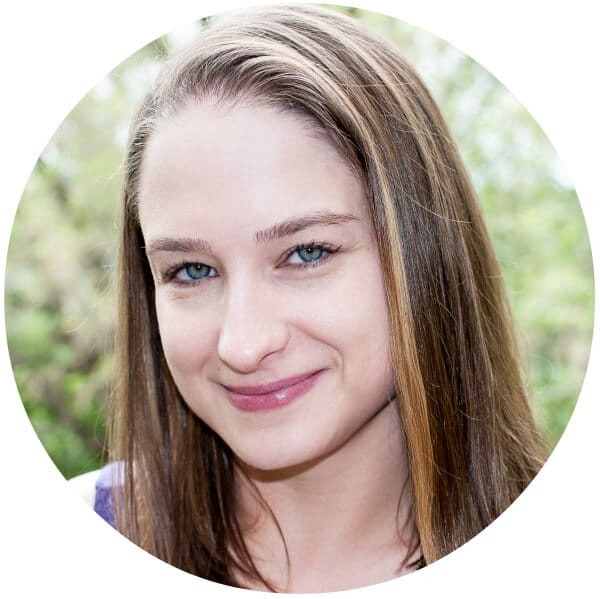 Surely you have 15 minutes for your favourite sister. Make this for me now. Adding this to our weeknight dinner menu next week! I love what you do with zoodles! This looks so good! I’ll be trying this Natasha! Prettiest bowl of zoodles!! 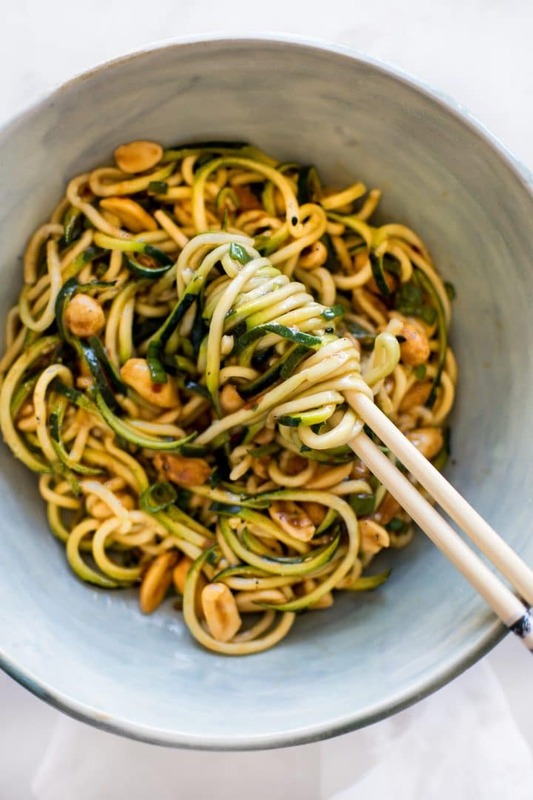 I love that you made kung pao zucchini noodles!!! I must make this ASAP! Excellent! Next time I need to double the recipe…my husband kept eyeing my bowl to see what I had left (nothing!). We did add mango coconut shrimp, which really balanced out the heat. This is a definite make-again dish.